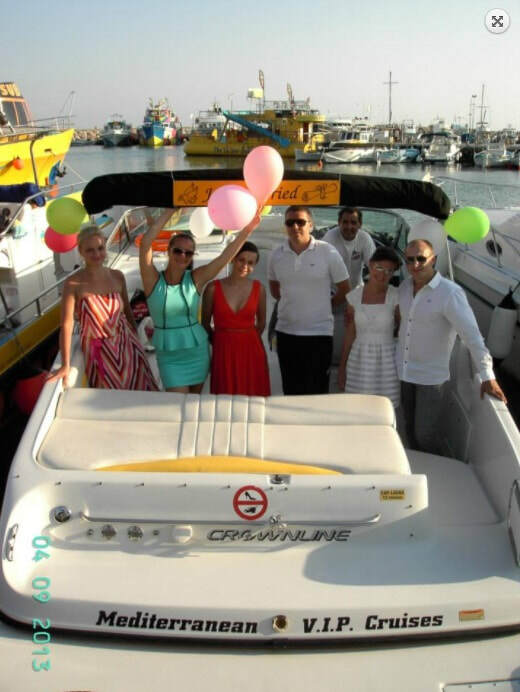 Hire a boat for Family Celebrations, Stags, Hens, weddings or just for a group of friends! 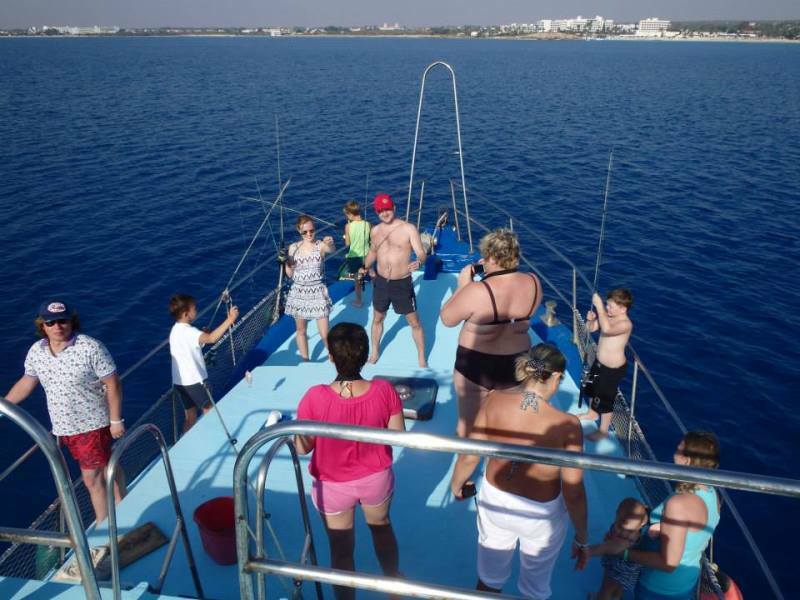 The ultimate holiday treat is a private boat trip for you and your friends or family to sit back and relax or have some fun on board whilst you cruise the along the stunning coastline from Ayia Napa. Make any occasion that bit more special with a private trip, we have a selection of boats available to suit all party sizes. Your boat charter package can be customised to include food, drinks, cake, flowers and decorations. 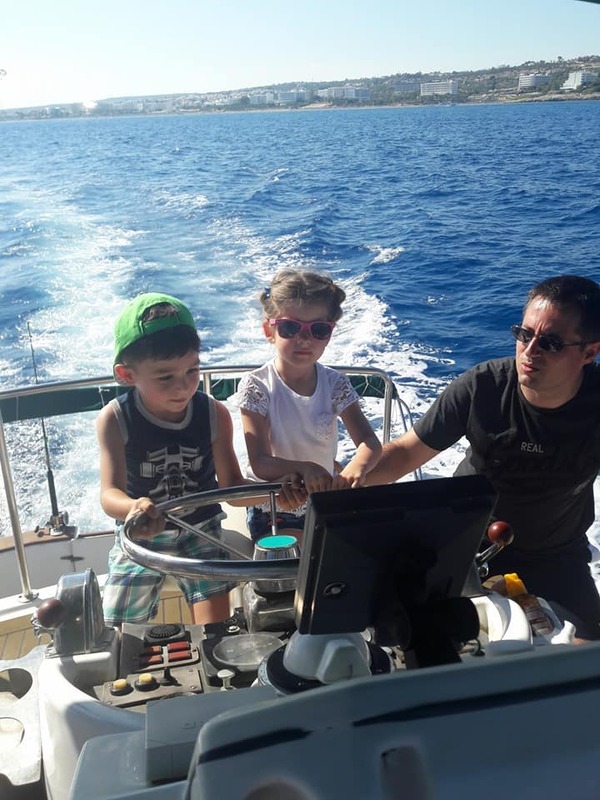 Whether you want to go swimming, fishing, snorkelling, sightseeing or just relaxing on board and enjoying the beautiful Mediterranean sea, then our Captains and crew will ensure you have an unforgettable day with memories to treasure. From romantic sunset cruises to loud party trips, we can tailor make a boat trip to suit your needs. ​Details on the boats we have available as well as further pictures, can be found further down the page. Please fill in the enquiry form for a personalised quote for your perfect sailing. Please fill in the request form below and we will email you back within 24 hours with availability and prices. Please tell us what food + drinks options you would prefer or any other requests. The Amoroza can accommodate up to 45 persons and has a sound system, wifi, a kitchen and a bar. Top quality fishing gear is also available and the captain and crew offer outstanding customer service. 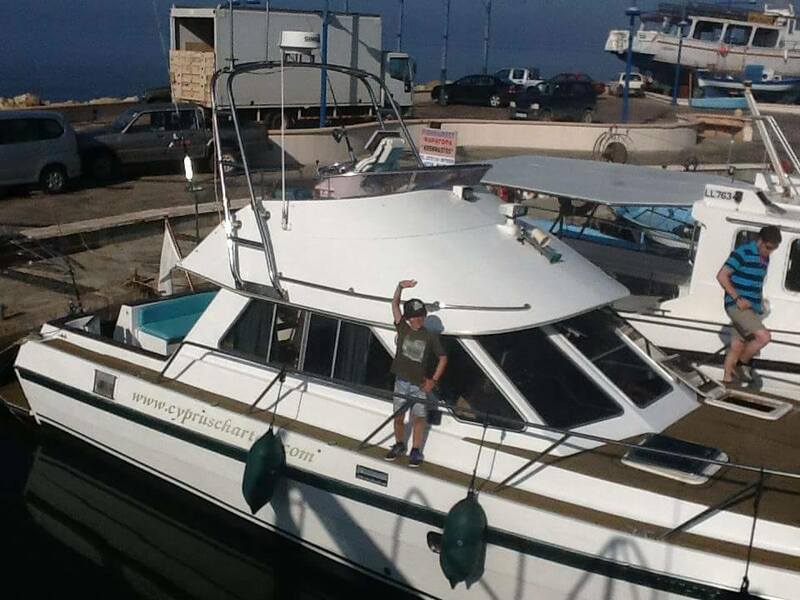 ​This boat is ideal for wedding parties, Stag/Hen Parties, sport fishing trips and large groups. Food and drinks packages can be arranged as well as flowers, cake, music etc. Prices* - 2 hours €579, 3 hours €729, 4 hours €879, 5 hours €1029, 6 hours €1199, 7 hours €1349. Special Bridal package* - €1029 - 4 hour sailing + complimentary bubbly, fruit and nibbles for guests and a luxury hamper for bride and groom. * If there are more than 25 people in the group there will be a supplement of €10 per person. The VIP Private Charter is a smart powerboat with exceptional service. 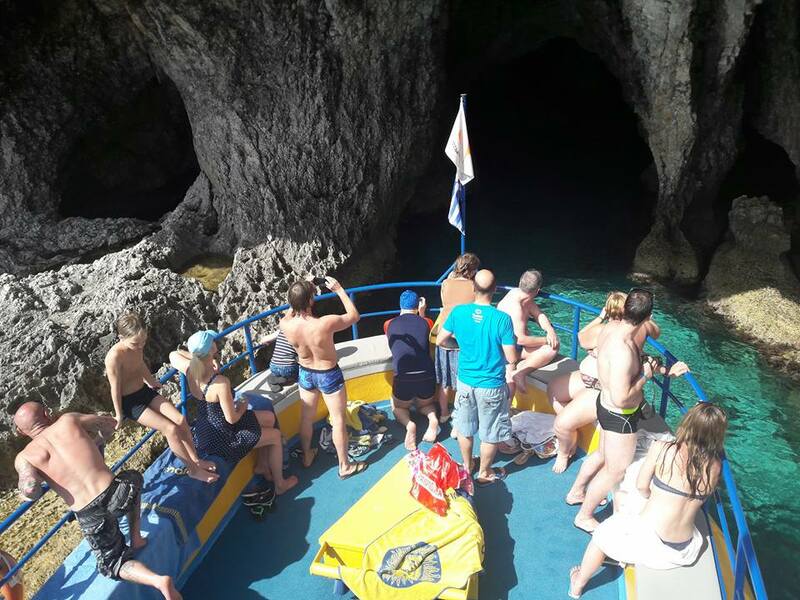 The VIP can accommodate up to 10 passengers and has comfortable lounge and seating areas to the front and the rear as well as a small platform for sunbathing or swimming. Perfect for couples, celebrations and groups of friends. The boat can be decorated and soft drinks, beers and bubbly are included. Available daily from April to October. During busy months the boat will only be available after 1.30pm. For 5-10 people - 2 hours €400, ​3 hours - €600, 4 hours €800. The Stargazer can accommodate up to 12 passengers for cozy private sailings. The boat has a small seating area at the rear and a sunbathing area at the front. The Stargazer would suit couples, families or small groups of friends looking for a good value private adventure along the coastline. ​Includes a bottle of bubbly and a seasonal fruit plate. 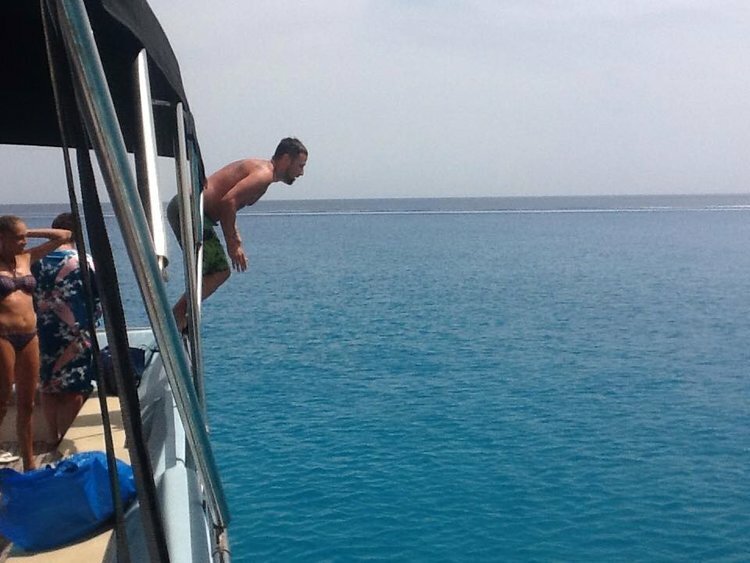 This boat does not have a kitchen or bar area. Available daily from April to October (weather permitting) Sailings from 4pm until 9pm only. The Captain Morgan is a newly renovated boat which can accommodate up to 25 people. With plenty of deck space, this boat is ideal for private sunbathing cruises, groups of friends or family groups. Sunset trips are also available. This boat does not have a kitchen or bar area but cool boxes can be used. ​Available daily from April to October (weather permitting) Sailings from 4pm until 9pm only. 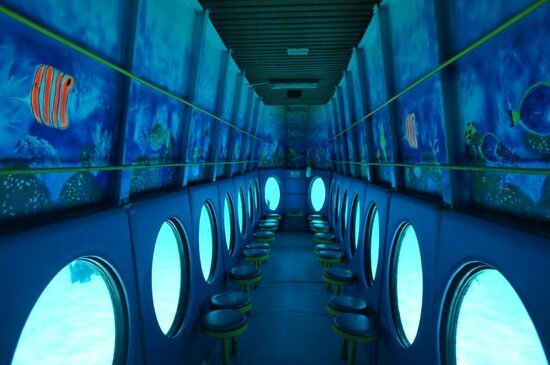 The Yellow Submarine can accommodate up to 70 passengers and offers family friendly fun with an undersea viewing level, a slide and diving board. 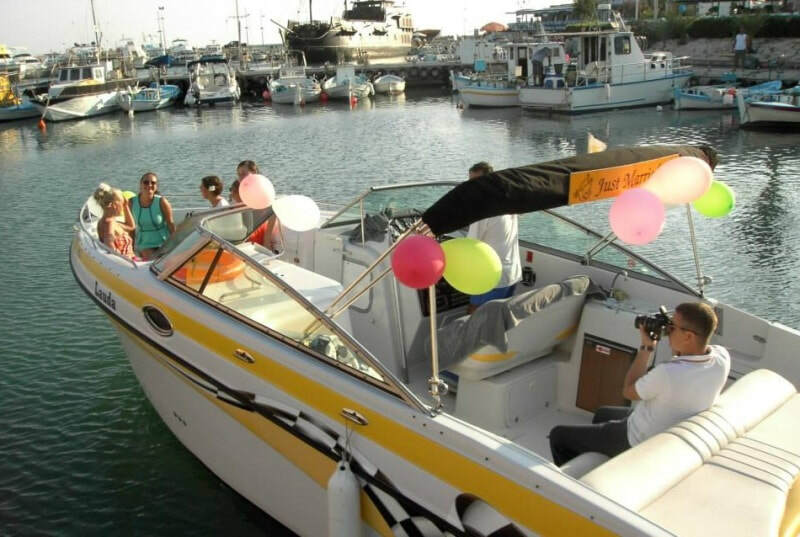 This boat is ideal for large groups, wedding parties and students/business groups. Drinks and snacks can be pre-booked or bought on board from the bar. Available daily from April to October (weather permitting) Sailings available from 4pm onwards. Sailings at 2.30pm are also available at a supplement. The Tahiti 75 can accommodate up to 75 passengers onboard a twin hulled catamaran. 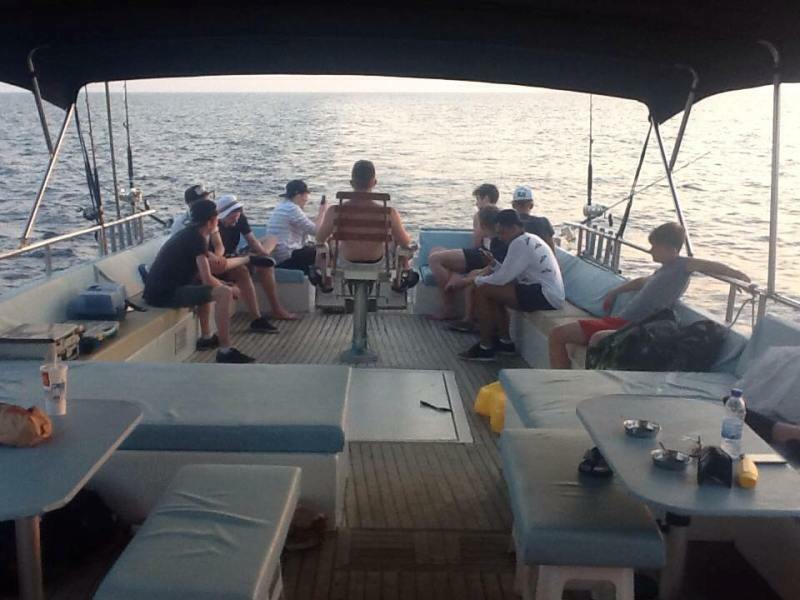 There are nets with mattresses for sunbathing, shaded seating areas and a bar on board. Food and drinks can be arranged as required. 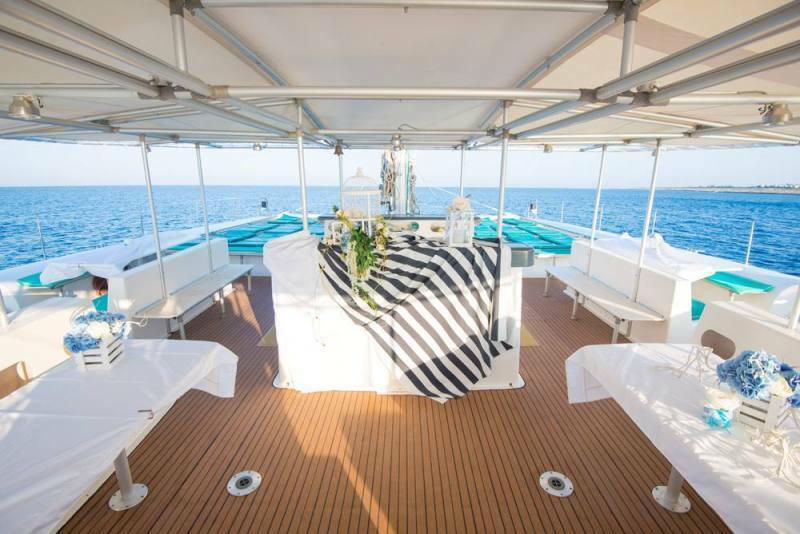 Perfect for large groups and celebrations, the catamaran can be decorated for your special occasion. Half day/4 hour cruise price dependent on time of day of your charter. Please enquire using the form above for a confirmed price. Prices subject to change. The exact price for your requested date and time will be confirmed to you before you book. ​The amount of deposit required and the total amount payable including any extras such as food and drinks, will be advised to you before booking. 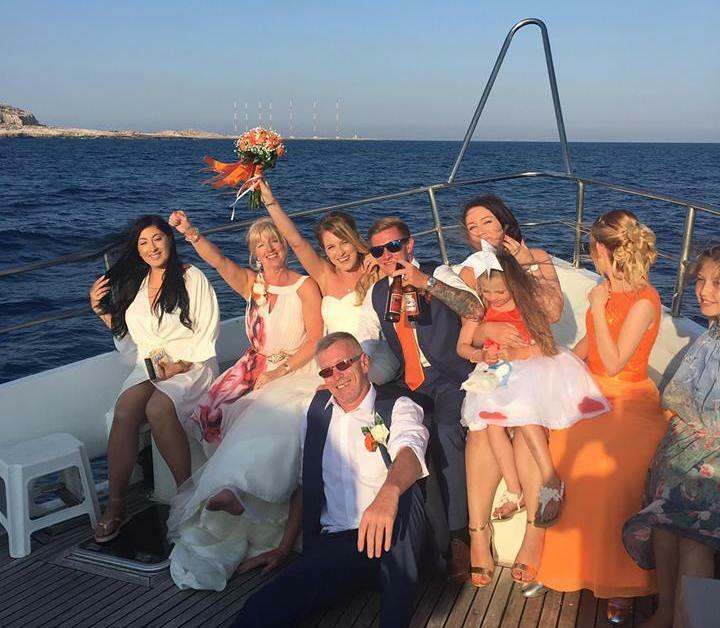 If you need further assistance with planning your boat charter or other group activities then get in touch - info@loveayianapa.com and we will help you arrange your perfect trip. Please note deposits are non refundable except in the event of cancellation of the sailing by the captain and where no alternative date/time is suitable.